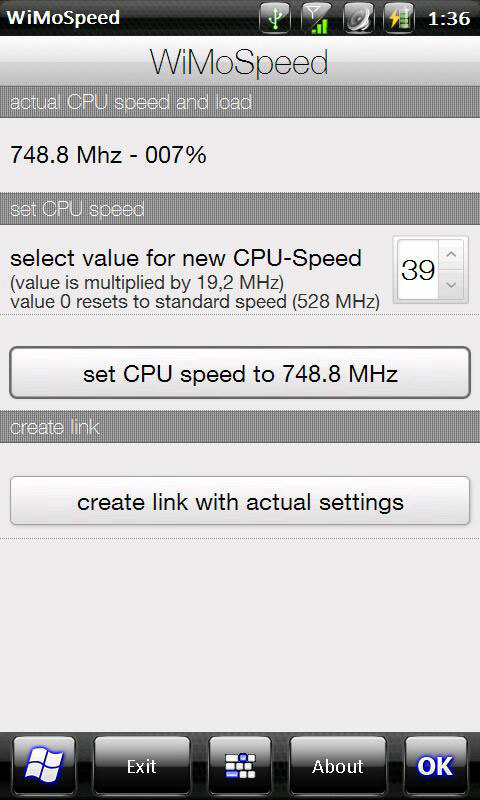 WiMoSpeed lets you change the CPU-speed. In opposite to other tools, even to the predecessor OverClockTool (OCT), it manipulates the values WM uses for clock control. 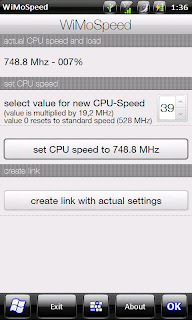 So it works reliable on battery and AC without any scripting or active components.